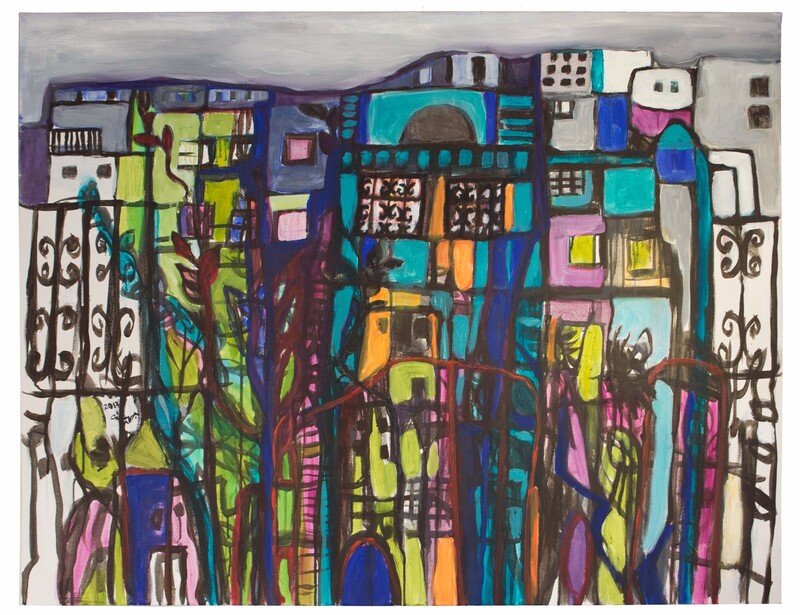 This striking rendition of the windows and domed roofs of the Old City of Jerusalem represents a more contemporary and abstract style by an artist well known for her use of colour in more traditional paintings. A stunning focal point and reminder of Jerusalem in any room! The use of colour is one of the strengths of Juhaina Kandalaft who grew up in Haifa and Nazareth, the daughter of the distinguished creative writer Emile Habibi. Although her work is not confined to one style, it consistently reflects her love for mankind and nature, for human feelings, and for her heritage.